This is a full-scale 6 month marketing package that’s sure to get you noticed globally. There is a $1,500.00 deposit required at signing and the remaining payments will be made in 3-4 installments. Let EDC Creations free up your time to write! We will serve as your ghost blogger, virtual assistants or sales representative, in order to spread your content across the web. You submit your material to us one time and we syndicate it to your network while you flex your creative efforts. No more overwhelming late nights or early mornings catching up on social media networking. You have fun with your fans, slow down, write your next book and we keep the world informed! We will establish all the Internet accounts and populate each profile to resemble mini-websites; each account is populated completely with all of your book details, articles, multi-media displays and widgets. The author is given full control and ownership of the accounts. Monthly we provide written reports of our postings and we will forward your login information and provide coaching on how to use the sites. We take over the full campaign for the first 5 months of the book. The team will establish the foundation and create all the promotional material before publication. The actual promotion will start 30 days before the book hits the shelves. We will continue to offer follow up with email support for 60 days after the campaign ends. The base price for setup is listed. The monthly retainer fees, to keep the program going, will be negotiated. The retainer fee is based on the level of service provided. Weekly conferences are available for updates. This part of the tour will introduce you to the media and readers in the 8 steps listed below. We create your blog and set up a system so that it creates a mass push to the public via RSS Feed. The author has the potential to reach millions with every post! The blog or fanpage is connected to a 4 point system that ties in readers and the media using the most popular bookmarking sites, blog directories and RSS feed aggregators. During our personal coaching sessions, we instruct the author on how to maintain this system and explain what all terms associated mean. There are additional services offered by EDC Creations to maintain the system for the client. Eblasts, video and audio postcards, digital events listings, banners and written interviews will be broadcast to EDC Creations database of readers, more than 165,000. Your book will showcased to the Sankofa Literary Society which now includes 2 RSS feed newsletters, 4 popular social networks, a syndication blog system reaching potentially millions per month and 9 establish bookclubs that only read the SLS featured titles! With the creation of an email newsletter or a fanpage, we can capture the contact information of your fans and readers. It is essential to have a database to share your important up dates with in a timely manner. 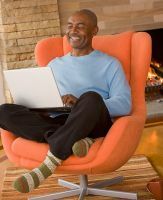 We help the author establish a online and offline means of staying connected to the readers and literary service providers. Coaching is provided on how to utilize technology on gather readers and newsletter subscribers. We create the mini-ebooks, contests or bonuses that generate a dynamic database. The tour also includes a spot in the EDC Creations literary trunk shows, where the book will be introduced to bookclubs and readers across the US at private meet and greet mixers. Ella Curry, president of EDC Creations travel to at least 20 events each year. During her speaking engagements or bookclub meetings, she showcases the client's books, videos and promotional material. Your book is part of this trunk show. Here is a full listing of literary events across the country. The retainer services have a two month minimum in order to establish a strong foundation for each author and for the house. On this page, you will find the various programs and services that we have put together to help you create a buzz and ultimately generate demand for your book or business. The base price for setting up the program is listed. The monthly retainer fees, to keep the program going, will be negotiated. The retainer fee is based on the level of continued service by EDC Creations, starting at $600.00 per month. Our comprehensive book publicity campaigns include some or all of the listed available services, depending on your needs, book genre, target audience, and scope of the project. If the author already has an item in place, we will enhance that item, not replace it. This package does not include website updates. There is a $1,500.00 deposit required at signing and the remaining payments will be made in 3 installments. Pay $4,500.00 to start before August 30, 2018. Enter the amount of the package below and click the send button. A representative will contact you in 24 hours. Note: A representative will email you at the PayPal address that you made the payment from with further instructions. If this PayPal address is not your main email address, make sure you check out that account for our message. Service will begin after the transaction are completed and all checks cleared. Thank you for contacting us to help you promote your book or business to new levels. No refunds after the services start. All deposits are non-refundable. Do you feel overwhelmed? Do you feel as if you are being left behind? Want to get more publicity for your book, publishing house, small business, online radio show, etc.? Let's us do the foot work and you focus on the creative side of publishing! You are not alone. EDC Creations offers complete marketing assistance. No business is too small or too large to benefit from partnering with us. Hiring a public relations firm for your book is the right thing to do! You need to have a professional who can create the right professional image for you and your book. We work on your media kit, building your brand, increasing your territory, submitting press releases and articles, connecting you with the "go to people", creating speaking events for you, and everything else required to get you the publicity you deserve. We work on monthly retainer or by established project contracts. Digital and social media have fundamentally changed how we do business and work with our target consumers, in the 21st century. Don't get left behind by not seeking professional help. We are here for you, committing to unparalleled service for each client. We are stakeholders in your future too! Our full-service publicity campaigns incorporate traditional and Internet media contacts at the local, regional and national levels. Our publicity campaigns typically range from two to six months. However, we have the ability to tailor our campaigns to each author or publishers’ unique requirements. The campaign timeline recommended for each book depends on our analysis of the author’s credentials and media potential of the book’s message. EDC Creations will review and implement a personalized, social media cross-marketing strategy, that includes email database campaigns, branding enforcement, increasing revenue stream opportunities, and the creation of online blog tours and e-newsletter campaigns. An online book marketing and PR campaign requires a high level of dedication on the part of the author. Establishing quality communication with the PR team, that ultimately reflects your unique voice, will be essential. Our communication skills, combined with our loyal partnerships, are the tools that will build massive followings and long-term relationships for our clients and their readers. A variety of cutting-edge strategies will be used daily to continuously build a strong brand, pinpoint your target audience and to connect you with people interested in your message. These activities are focused on building a loyal following of people who will purchase your book and tell others to do the same. Each media campaign is assigned a publicist who serves as the campaign manager for the duration of the contract. Every book we work with is unique, it has it's own voice and message, so every book deserves a unique campaign. Please email us at: elladcurry@edc-creations.com. We welcome your business!